Improve citizen services: Do more with less by knocking down interagency silos. Access data from area parks and beaches with analytics tools, allowing corrective actions. Deploy a service management platform that aggregates data from city systems. Use analytics to identify road conditions that cause the most significant safety problems. Extend your video analytics for better forensic, situational and predictive analysis. Report by OVUM discusses how a smarter approach to data management can help increase revenues and reduce costs. 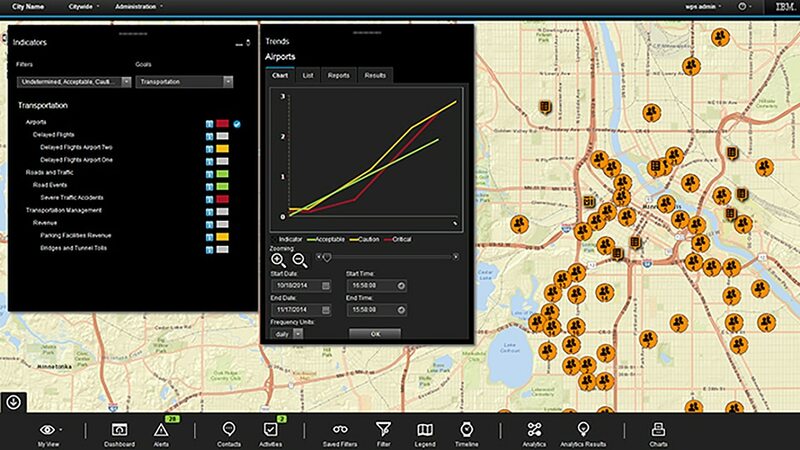 Providing operational insight to help city leaders build and manage a safer, smarter city.